A fisherman in Hoi An. All photos by The Funnelogy Channel. 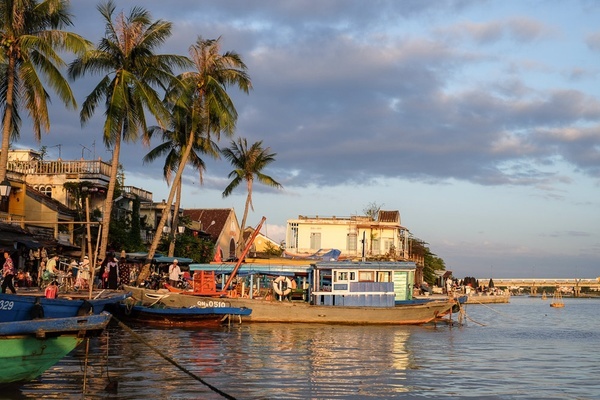 On a recent trip to Vietnam, Gabriella Zanzanaini and Nicolas Petit of , one of Gentedimontagna's 24 Best Travel Blogs and Websites, found out that taking it slow in the city of Hoi An is worth its wait in gold. 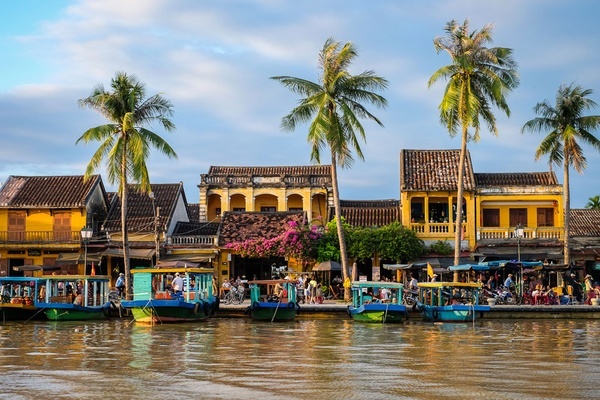 HOI AN, Vietnam – Arriving in Hoi An by night, we spotted colorful lanterns, quiet river boats rocking on the Thu Bồn river, a multitude of rickshaws ferrying tourists around the Old Town, and many, many signs promising good food. It was though we stepped back in time to a small neighborhood with impeccable taste and enviable style, or, looking at it more cynically, a sophisticated attraction at an adult's Disneyland. But slowly and casually, like the rising of the sun, Hoi An pulled us in. In the morning light, the ancient trading port blossomed and came to life in all shades of pale ochre. Behind colorful wooden shutters, fading blue or bursting with turquoise, walls etched away by time and sunlight peeled into layers of citron, ginger, and bleached cinnamon — pigments of iron oxide, a rust color that dissolves into deep sumptuous yellow. 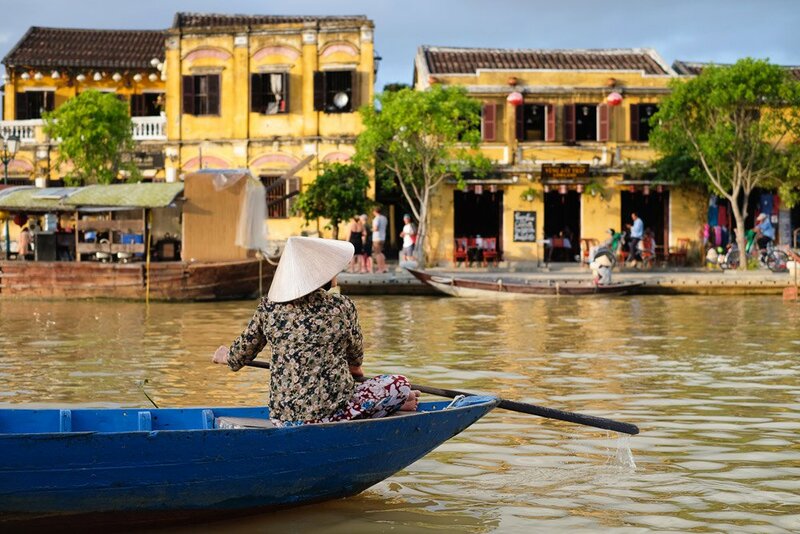 The yellow ochre of Hoi An. Unobtrusive in the delicate glow of early light, the yellow cradled the silent streets and the closed doors of popular shops. We wondered where all the people were — this was not the busy, full-of-life town we remembered — until we realized it was only 8 a.m. Traveling with a baby had changed our schedule drastically. We woke in harmony with the town. As the leather shops and tailors opened, we were ready to take it all in, with cà phê sữa đá, Vietnamese iced coffee, in hand. 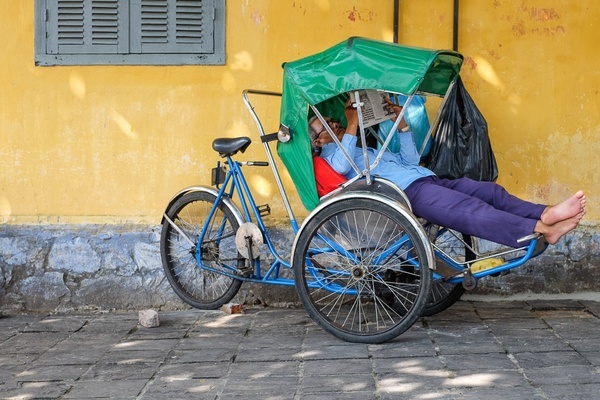 The rickshaw men took it easy, digesting the daily newspaper while waiting for tourists to finish their buffet breakfasts. The aquamarine barber shops were full with those needing a clean shave before Vespa-ing off to work. The road-side noodle shop was packed with slurping customers, until suddenly all the red stools were gone, the signs pulled down, the day's business done by 9:30 a.m. The action was swathed in a layer of canary yellow, like a plate of creamy scrambled eggs. Warm and comforting. As the day hit noon and the glare invaded from straight above, the town took refuge in the shade. 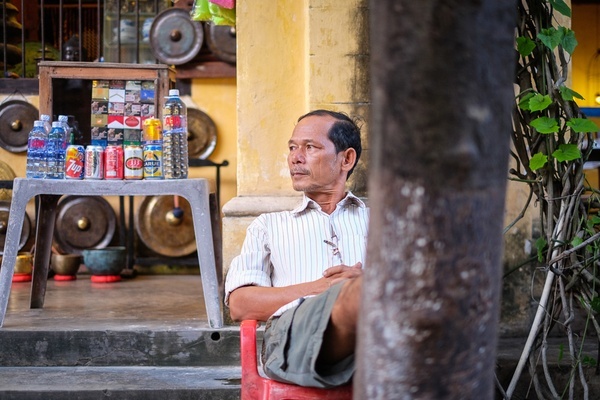 The old black tiled roofs kept temperatures high as workers slowed down for a bowl of cao lầu noodles or the satisfying crunch of a layered bánh mì, always with plenty of chilli. The ochre was blazing in the heat, like a slice of hot green mango dipped in chilli sugar, sweet and fiery. When afternoon neared and everyone re-emerged from their colonial-era houses or boutique hotels, the town whose name means "peaceful meeting place" did just that. The drink and dessert vendors were busy with orders for chè, variations of Vietnamese dessert soup. We chose a snack of bánh bèo from our favorite street-food lady Hao on Hoàng Van Thu road. 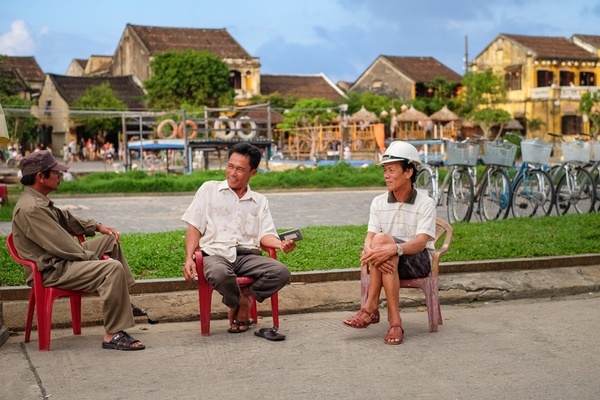 Friends gathered for a chat on little red stools beside the river that once was the route to the most desirable trading port in Southeast Asia. Fishermen went home, pulling their nets out of water and gliding by the promenade in their shallow sampans. Time slowed down in a place that the country's wars left untouched, the place that Japanese merchants believed was the heart of Asia, a mythical dragon lying beneath its sacred earth. 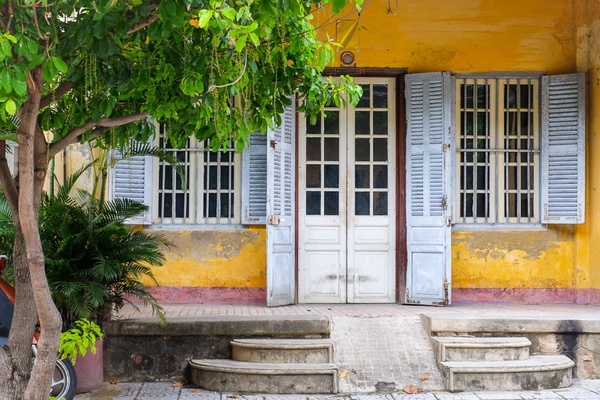 Some say the color of Hoi An symbolizes royalty, others say it's just a matter of practicality, the yellow walls tempting the sun to bounce away easily, absorbing less heat. But as the sun finally set and a light breeze made the palm trees sway and the fuchsia bougainvillea dance, the ancient buildings poured into the river, reflecting liquid gold. At this hour, it was hard to believe that we were not basking in the light of a golden dragon. An ochre-inspired recipe for mango tumeric smoothie.